Whether it’s simply down the street or across the country, moving is always a huge job. People always say that moving is one of the most stressful events in a person’s life. While it might seem like a great idea initially to do all the moving yourself here are a few great reasons why you should let the Crusader Removals team help you out. Removal companies will help you pack up your entire house or office, as well as move all of the cumbersome pieces of furniture. Because removal companies do this every single day, they will be able to do it much quicker! Thus, saving you time and money. One of the painful parts of moving is having to estimate how many boxes you will need. The great part of hiring a moving company is that they can supply all of the boxes, saving you from that agonising realisation half way through the job that you didn’t buy enough boxes. By letting the professionals do it you will avoid all that stress, letting you and your family focus on other things. At Crusader Removals, we specialise in moving your boxes and furniture out of the house (or moving entire IT set ups in an office removal) and onto the truck, however, we also offer box packing services. Just speak to one of our friendly staff members today. There is always the fear that in hiring a company to help you move to a new house your fragile items and treasured belongings will be broken or damaged. At Crusader Removals, we take extra care with people’s belongings, plus as part of our initial planning process we will ask you if there are any items that need to be bubble-wrapped or stored carefully. On our previous blog, we spoke about a few things to remember when moving to a new house. One of those tips was to stick post-it notes to pieces of furniture or ornaments that are fragile! That way you don’t have to worry about any issues on the day. Plus! 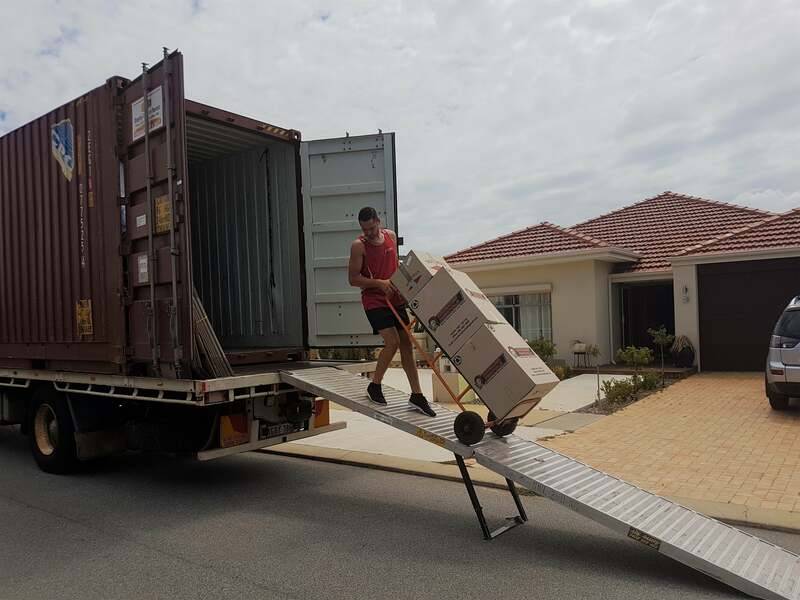 Hiring a removalist in Perth means that they can efficiently pack the truck and boxes, saving space, time and therefore money. Do you have heaps of large furniture that is going to be an absolute pain to move? Lots of people just hire Crusader Removals to remove those heavy and awkward to carry items out of the house and onto the removals truck. The great thing about hiring a furniture removals company is that they keep very detailed documentation of everything that goes on the truck. You are able to look at this document and tick off items, making sure you haven’t left a single thing behind. We can help you move quickly! If you’re moving anytime soon then contact Crusader Removals today.